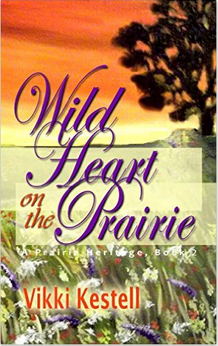 Wild Heart on the Prairie is the gripping prequel and companion to the breakthrough historical novel, A Rose Blooms Twice and is the foundation of the acclaimed series, A Prairie Heritage! The Thoresen brothers, Jan (Yahn) and Karl, have left their native land of Norway and braved many perils and hardships to bring their families to America—the land of freedom and hope. Like thousands of others, Jan and his wife Elli long for the opportunity of a better life and a future for their children. After enduring an ocean crossing and the arduous journey west, they encounter a land so vast and wide that it defies mastery. Jan finds that his struggles are not only with the land, but with a restless and unmanageable heart. Will Jan find a way to overcome this wild land or will the prairie master him?